Compatibility is based upon testing of a limited sample size conducted by Feit Electric in a laboratory environment — field results may vary due to a number of factors. “Compatible” means that the bulbs can be dimmed, although the LED lighting device dimming performance may not be the same or similar to dimming of incandescent or halogen bulbs, fixtures, and luminaires. Some possible dimming variations include but are not limited to: less dimming range than an incandescent or halogen bulb; dimming less smoothly than an incandescent or halogen bulb; flicker or shimmer at certain light levels; and, buzzing or humming at certain light levels. Dimming equipment, applications, installation, and conditions of use are many, varied, and beyond the control of Feit Electric and therefore Feit Electric does not represent or warranty the suitability of an LED lighting device for use with any particular dimmer. 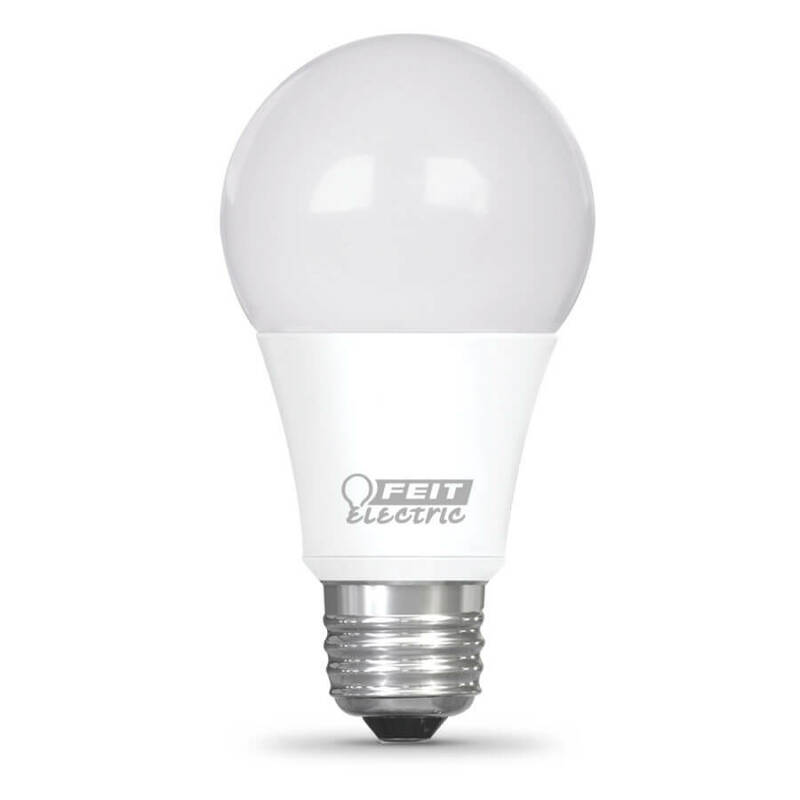 The warranty on the LED lighting device package is the only applicable warranty made by Feit Electric. Dimmer manufacturers may change dimmer design and functionality from time to time and such changes may affect compatibility. The information on this website page may be updated and changed at any time without notice as products and information evolve and develop.